If you have kids or pets eventually you are going to need to deal with stains on your carpet, rugs or furniture. Even if you don’t have children or animals roaming your home, stains are a part of life. When you come face-to-face with a tough stain in your carpet or upholstered furniture don’t worry. 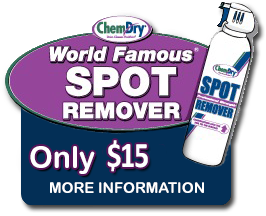 The pros at Chem-Dry have just the solution for eliminating the staunchest of blemishes. Most spills and spots are easily removed with Chem-Dry’s basic cleaning. However, occasionally, difficult stains such as paint, lipstick, permanent marker, etc. require special treatment. 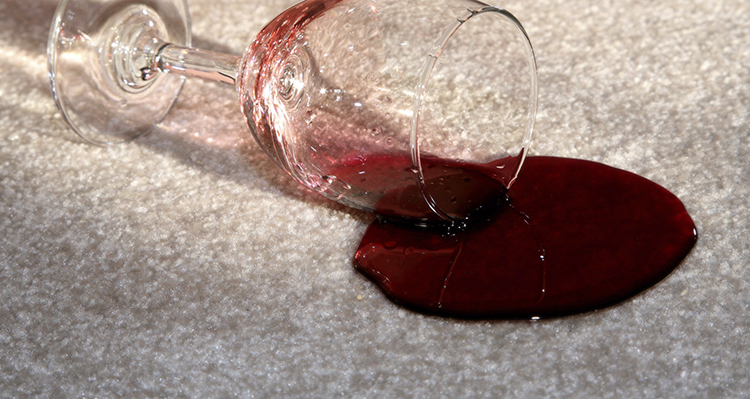 Trust the professionals at Surfside Chem-Dry to take care of these stains. Our professionally trained technicians are equipped with state-of-the-art products that can take care of virtually all spots and stains. This will be taken care of with our Speciality Stain Removal service. Using an arsenal of safe and effective stain removal products with the most innovative equipment, Chem-Dry can knock tough stains out of carpets, rugs and upholstery for good. That’s why we say “If we can’t get it out, no one can.” Some spots may be permanent. This is where a stain permanently changes the color of the carpet. In this case, patching the carpet will have to take place. Ask us about carpet repair.